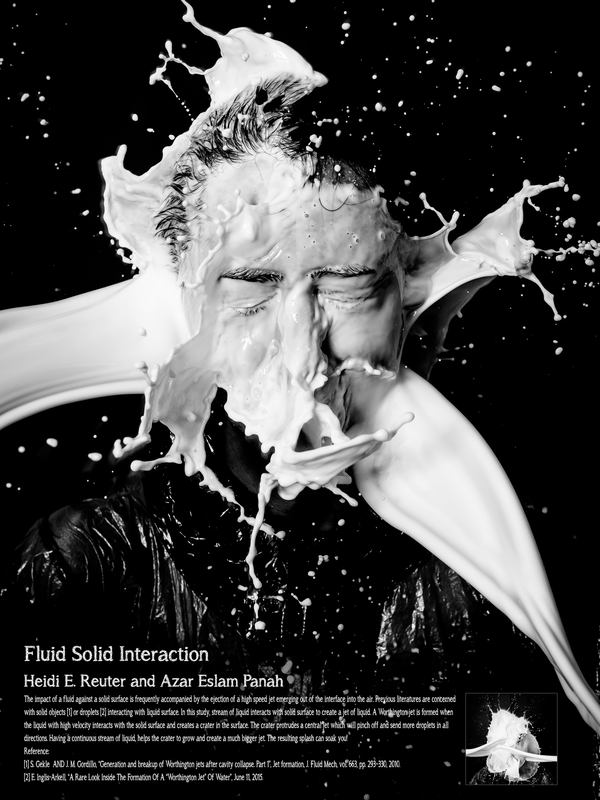 The impact of a fluid against a solid surface is frequently accompanied by the ejection of a high speed jet emerging out of the interface into the air. Previous literatures are concerned with solid objects or droplets interacting with liquid surface. In this study, stream of liquid interacts with solid surface to create a jet of liquid. A Worthington jet is formed when the liquid with high velocity interacts with the solid surface and creates a crater in the surface. The crater protrudes a central jet which will pinch off and send more droplets in all directions. Having a continuous stream of liquid, helps the crater to grow and create a much bigger jet. The resulting splash can soak you!